Kill Shot is ultra fast paced with each terrorist hunt taking only 1 or 2 minutes. An entire terrorist campaign takes less than 20 minutes. 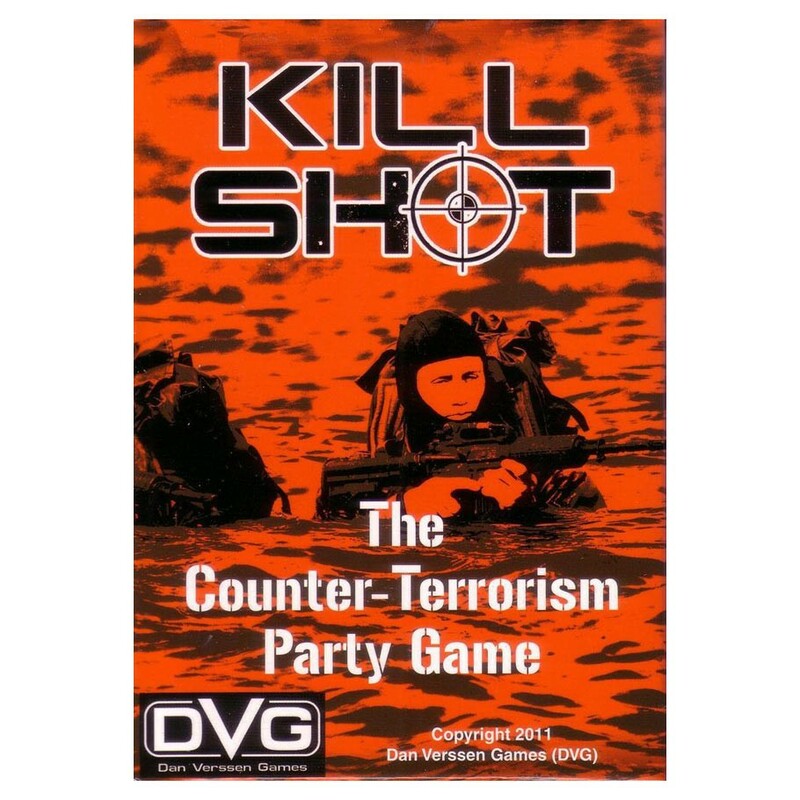 Kill Shot is a speed card game played in real-time, like a firefight. As you and your friends frantically throw down cards, you'll scream manly phrases like "Cover me! ", "Jam! ", "Reloading! ", and of course the ultimate "Head Shot!" 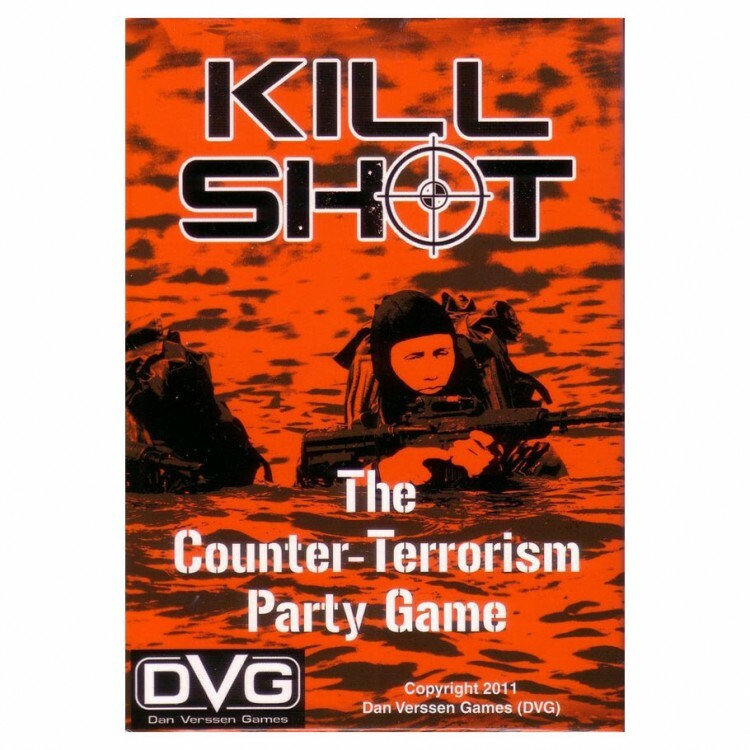 This is the perfect party game, convention game, and game to play with all your non-gamer friends. The game comes with 1 (ONE!) sheet of rules.